A rising star in South America before his transfer to North America, Argentinian bred Catch a Flight (5h Giant’s Causeway x Callaia, by Lode) continued his run of hot form in the US with a thrilling fast finishing win in the Grade II San Diego Handicap at Del Mar beating Appealing Tale (5g Tale of the Cat x Appealing Bride, by Unbridled’s Song). A winner of six of his first 10 starts in Brazil, Catch a Flight is now with Richard Mandella and has blossomed in the US winning three of his last four starts in Graded company with a third in the Grade I Gold Cup at Santa Anita his previous run. "We got the great setup today and I rode him better (than in the Gold Cup)... 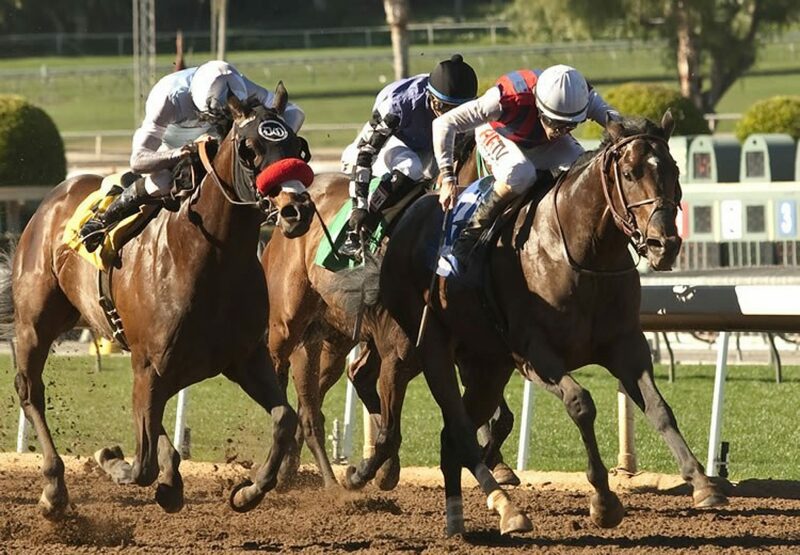 I don't think distance is a big thing with this horse," said winning rider Gary Stevens. "He can handle that. He just needs the setup and we got it today." An Argentinean bred son of champion sire Giant’s Causeway, Catch a Flight has won 10 of 17 starts earning over $540,000, so the switch to North America has been a profitable one! Catch a Flight is the best of four winners from Grade II placed Lode mare Callaia.